Darani Lewers, Tanya Crothers and Jan Birmingham (left to right) sitting on a section of the ‘duck board’ which weaves through their installation ‘Peace and Nuclear War in the Australian Landscape’. Darani Lewers, Jan Birmingham and Tanya Crothers took almost three years to create Peace and Nuclear War in the Australian Landscape. The installation was assembled in a studio situated in an old wool shed in Ultimo, but its official opening will take place in Adelaide on March 30 to coincide with the Palm Sunday Peace Rally. Connecting these various images of peace is an unstable ‘duckbord’. The duckboard was designed and constructed by Frederick Chepeaux and was based on the duckboards at the bottom of trenches in World War One. It snakes its way around the canvases and past various images of war, which, although not as imposing as the peace images, covers a large section of the floor and threatens to engulf peace. A further dimension is added by the unstable nature of the duckboard. While most of it is built on top of bricks, a number of sections are supported by large inflatable rubber tyre tubes. When you step onto an unstable section you feel as though you are about to be ‘tipped onto the X-rays of different parts of the human body, assorted charred pieces of ‘human debris and horrific newspaper headlines about nuclear war. There are two videos incorporated into the body of the installation. Simply titled ‘Peace’ and ‘War’ they were produced for the installation by Sally Bongers and Paul Elliot. A grant from the Music Board allowed the artists to commission a young Sydney composer, Wendy Hiscock, to write a 15 minute piece of music. The strong emphasis on peace is intended. Jan Birmingham explained how they had begun to work with the idea of using images of war, but realised that powerful sections of the media have appropriated many of the more terrifying images of war and made them seem glamorous and exciting. So the installation now concentrates on “the concept of making peace stronger”. What is emphasised is not the act of destruction, the mushroom cloud and missile systems, but what would be lost, the familiar images of the Australian landscape which we take for granted. A number of related activities have been designed to take place around the installation while it is in each city. In Adelaide it will be part of a larger exhibition in the Festival Centre on the theme of Peace and War. A peace conference will also take place in the Centre featuring Dr Trapeznikov from the Soviet Union and Dr Abrahams from the USA. In Melbourne a seminar run by the Arts and Craft Teachers Association on a proposed peace curriculum will be run in conjunction with the installation. While in Sydney a number of events, including a Conference on Positive Peace Practices and a poetry reading organised by the NSW branch of the Poets Union will take place. It is hoped that the installation will be able to continue touring after September. But that depends on the amount of support generated over the next six months. So make an effort to get along and see it when it is in your city. Professor Donald Home has been chairperson of the Australia Council, the Commonwealth arts support body, for over six months. Recently, he talked to Mark Roberts about the way the arts are supported in Australia, as well as discussing some of the problems he has already encountered in the council, and his hopes for the future. In What Price Culture? David Throsby and Glenn Withers point out that, based on 1981 census figures, more people were employed by the arts than were employed by mining and agriculture — a point you also made in your inaugural address as chairperson. How important do you see economic considerations, such as potential for employment, tourism, and so on. being in determines the direction of the government’s arts policy in the future? Whether people like it or not, I think it’s pretty obvious that manufacturing, as the principal dynamic in society, is no longer working. In purely economic terms, we have to look towards labor-intensive service industries, otherwise the economic plight will simply get worse. Now, it happens that the arts are an extensive industry. Art and entertainment add up to a couple of billion dollars worth of activity each year, and if you add to that the information industries you can add a few more billion dollars. I can’t be exact, but I’m talking about industries which are worth several billion dollars. When one adds to this the fact that the arts are not only an economic multiplier, but also a social and cultural multiplier in an economy in which jobs are becoming even less and less interesting, it can make more sense to implement arts support schemes than it does in periods when the work ethic seems to be operating at its full volume. We should be looking at ways to provide unemployed people — and employed people — with other views of life rather than just the economic. Since you’ve become chairperson of the Australia Council, there seems to have been a greater level of debate within the arts community over the role the council plays in funding, and to an extent, determining what art is produced in Australia. Do you think this level of debate is a healthy sign? Well, there has always been a number of debates, there’s nothing new about it, actually. Naturally, if the resources are scarce, and they’re allotted one way, the people who didn’t get what they wanted will have criticisms. That is a perfectly necessary and essential feature of any government arts support policy. At the same time, it is essential that there should be diversity in any system of support for the arts. In other words, the Australia Council, the Australian Film Commission, and the state arts agencies and others are essential. You don’t want to have just one centralised, bureaucratic art support scheme. Some of the particular debates that have have arisen have been, first of all, the fact that the Theatre Board recommended (and the council accepted its recommendation), that there should be a ceiling placed on the money given to the major theatre companies. The idea behind this was that some of the extra money could be diverted to minor theatre companies. This seems to me to be a perfectly defensible position. I think it would be wrong if all the funds of the Australia Council went to just a few companies. That would really be setting up a kind of state monopoly. It is important that minor companies should be encouraged — partly because they might be more innovative or they might introduce things that the major companies wouldn’t introduce: but also because, as major companies decline, minor companies come up. So. in this way. the council is maintaining the market a bit. Then there is a second controversy; and that is the question of the Australian Opera. Here, the council’s policy is that the Australian Opera should be maintained as a national organisation fulltime. However, the Australian Opera had asked for an extra million dollars in subsidy, and the council simply couldn’t find an extra million dollars. In this context, it is worth pointing out that, at present, a quarter of the council’s total grants go to two companies, the Australian Opera and the Australian Ballet. In fact, the Australian Opera, along with the accompanying orchestra, actually obtains more in grants than the Literature Board and the Visual Arts Board combined. So the council felt that it couldn’t be expected to provide more money for the Australian Opera. However, it has put up a scheme where the council would provide the base support for the opera while the states would make contributions depending on the amount of time the opera spends performing in particular states. In your inaugural address, you talked about the Canadian and British models of government arts support bodies in relation to the development of the Australia Council. In the last Fringe Network Newsletter there is an article by Michael Volkerling, the head of the Queen Elizabeth II Arts Council of New Zealand, where he discusses the importance of regional groups to the overall decision making process of the New Zealand Council. Do you think that the Australia Council could learn from the New Zealand experience in helping to overcome claims of “state bias”? We already have it in Australia; we have the state support agencies. We have a better model than New Zealand, we have federation — just as in the US there is a federal body and there are state branches. The diversity is built into our model already. I certainly believe that there should be continual and growing co-operation in certain ways between the Australia Council and the states. But, overall. I think we already have that. On the figures for state government support for the arts — certain states contribute more to funding arts in their state than others. Do you feel that this is putting pressure on the Australia Council to subsidise those states where the state governments aren’t funding arts to the same degree as other states? I don’t think the council is making up any lost funding. The council funds most where there are the most applications. So far as I’m aware, in the past it has not had a policy of trying to build up areas irrespective of where the applications come from. If you are speaking specifically about NSW, it happens that NSW, for reasons that have nothing to do with the state government, generates a lot of funding applications. It would seem that a lot of artists and writers live in NSW. The area the council is particularly concerned with is Queensland where the number of applications is disproportionately low. If you compare Queensland with South Australia there is a very big difference in the proportion of applications. For the first time in the council’s history I think, they’re showing a concern about this unevenness and it’s having a special inquiry which will involve, among other things, an internal examination. We’ll be trying to work why it is that the proportion of Queensland applications is so low and what can be done about it. Ted Hopkins, in his paper Deconstruct the Australia Council, discusses what he sees as the limitation of the way the council is structured into various art form based boards. He suggests that these boards are symbols of idealised “pure” art forms. I am also personally aware of a number of cases where people have been told that their submissions don’t fall within the boundaries of one board, and to take it to another board, where the same thing happens again. (It seems that it happens most often between the Literature and Visual Arts Boards.) Do you think there are many problems in the current board set-up? I think that there are problems in having a board structure, though I don’t agree that the Council is doing anything particularly odd in this. They are just the normal divisions, and all divisions are somewhat arbitrary. What should offset that is co-operation between boards and a certain firmness in inter-arts considerations. I don’t think we could just abolish the boards and have everybody sitting around on some inter-arts committee looking at all the applications because arts are inter-related. It would be much worse than the present system. The present system has limitations and I’m sure that members of the council are interested to hear criticisms of those limitations. At the recent Conference on Culture, the Arts, Media and Radical Politics, there was some discussion of the difficulty young artists and artists from minority groups have in getting to know about how the council works, and how to use the council. Do you think this is a major problem — that once someone knows how to “write” submissions, they have a definite advantage? I think this is a major problem and we’re making Queensland a kind of paradigm case of that. Once we’ve investigated Queensland fully, I think we’ll have a lot more to say about it. There’s another problem, of course, and that is that you could spend the whole budget on “missionary” activity. There is a limit — and whether the council is spending the right amount on this or not is a matter for debate. Sidetrack Theatre presenting LOCO to workers at the Chullora railway workshop in Sydney during the mid 1980's. The project was funded jointly by the Theatre and Community Arts Boards. Well, yes, that is always a difficulty in any period of reform. In some ways the Community Arts Board, or the Community Centres, when initiating programs, should be, as it were, a kind of vanguard. I think there are times when what is described as interference is essential because people simply don’t know the alternatives. They don’t know what is available. Then comes the time when, if things are generated, you perhaps have to be more concerned with the community’s initiatives. Tags: Arts and the economy, Australia Council, Conference on Culture, David Throsby, Deconstruct the Australia Council, Fringe Network Newsletter, Glenn Withers, Loco, major theatre companies, Media and Radical Politics, Michael Volkerling, Professor Donald Home, Queen Elizabeth II Arts Council, Sidetrack Theatre, Ted Hopkins, the Arts, the Australian Film Commission, the Australian Opera, the Community Arts Board, The Literature Board, the Theatre Board, The Visual Arts Board, What Price Culture? Arguing the Arts: The Funding of the Arts in Australia by Tim Rowse, Penguin, 1985. Review Published in Tribune – Summer Reading Issue (no 2406), 11 December 1985. Tim Rowse’s new book, Arguing the Arts: The Funding of the Arts in Australia, is a long overdue study of the role funding bodies play in determining the future development of culture in Australia. Rowse traces the development of government patronage showing how the changes reflected changing attitudes and expectations about the role of culture in Australian society. Although commonwealth patronage of the arts had begun before the First World War, the major funding bodies, such as the Australia Council and the Australian Film Corporation (AFC), are legacies of the Whitlam government. Rowse identifies three distinct stages of government patronage. The first of these he calls “voluntary entrepreneurship”. This period can perhaps be seen as a time of “cultural missionaries”. The Australian Elizabethan Theatre Trust’s touring policy, according to Rowse, reflected the cultural assumptions of the time. It was assumed that Australian society was “characterised” by a “good natured but resourceful philistinism which could be challenged by the presentation of the best of European culture”. The next stage of patronage Rowse calls “statutory patronage”. This period saw the creation of the Australia Council and the AFC. These organisations made grants to “cultural activities” which they deemed to be worthy. The concept of “worthiness” or “excellence’ took on new importance during the Fraser years when the real income of the Australia Council fell by over 30%. Because of its adherence to the notion of “excellence”, the Council continued to support only those activities it saw as the ‘best’. As Rowse points out, “The more acclaimed you already were, the more you got”. The third level of patronage, and the one which is causing the ‘flagship’ companies so many nightmares, is what Rowse calls “decentralised patronage”. This sees alternatives to existing concepts of “culture” and seeks to demonstrate or cultivate community support for a wide range of cultural activities. This concept is perhaps best reflected in the growth of community theatre and writing, the Art and Working Life programs and the success of the Community Arts Board, the Craft Board and the Aboriginal Arts Boards of the Australia Council. Rowse goes onto examine a number of issues which he sees as central to the current debate on arts subsidy and support. These issues include the thorny problem of excellence, notions of “popular culture’ versus “high culture”, the distribution of cultural products and the new technologies and the increasing emphasis on the arts as an “industry”. Returning to the notion of “excellence”, Rowse makes a strong case for the elimination of the word “excellence” from the vocabulary of public cultural policy. He argues, for example, that the term has always been available to those who could lay claim to it under the prevailing cultural ideology. Towards the end of Arguing the Arts, Rowse looks more concretely towards the future. In attempting to find a “new rationale” for commonwealth cultural policy, he examines the dichotomy between “popular”, commercial entertainment and “high” subsidised culture. He argues that, in many ways, these distinctions are false. They tend to be supported at one end by the commercial broadcasters who have a financial interest in what is regarded as “popular”, and, at the other, by the subsidised arts who seek continued protection from what they perceive to be the vulgarity of popular taste. One of the major points which emerges from Rowse’s study is his belief that the arts should make greater use of recording and electronic media in general. He points out that the Australian Broadcasting Tribunal already has the power to ensure that independent films and videos are shown on commercial television. He is also concerned with the minor role the ABC plays in the distrution of culture. 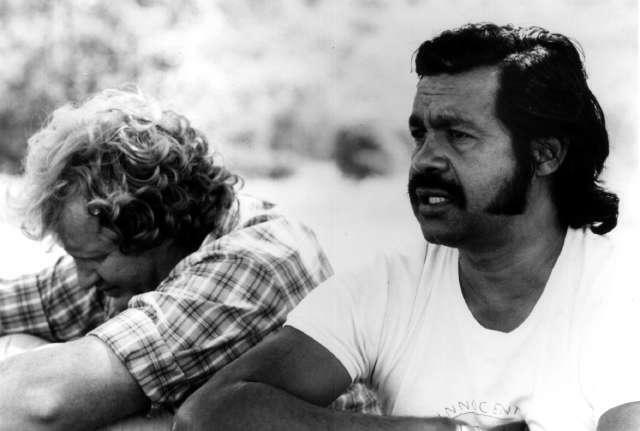 A refreshing aspect of his brief look at the role the domestic satellite could play in future cultural policy is his sympathetic examination of the cultural needs of Aboriginal people. He points out that “some outback people are Aborigines with an interest in the survival of their languages. They need the same choices as white city dwellers much less than they need the choice of not receiving English language broadcasting”. 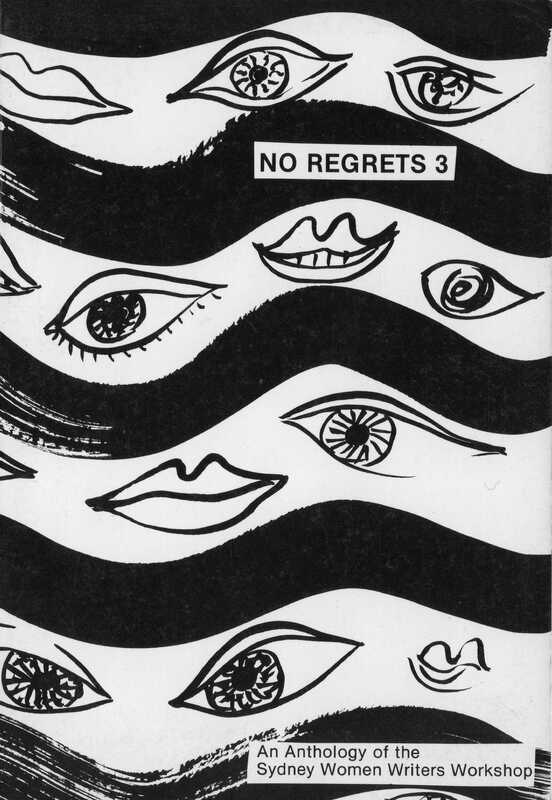 No Regrets 3: An Anthology of the Sydney Women Writing Workshop. Published by the No Regrets Group. 1985. Review Published in Tribune – Summer Reading Issue (no 2406) 11 December 1985. Over the last decade, women writers in Australia have been attempting to make themselves heard above that silence. A measure of their success has been the number of contemporary women writers being published and the growth of women’s publishing ventures such as Sybylla, Sea Cruise Books and Redress Press. Another result of the revival of women’s writing has been the ‘rescuing’ of women’s writing from literary oblivion. The republishing of works by authors such as M. Barnard Eldershaw, Eleanor Dark and Christina Stead among others, has created an alternative to the conservative, male dominated, traditional literary history of Australia. The creation of an alternative structure to the existing literary hierarchy has been one of the most important long-term results of the women’s writing movement. It is probably this aspect that the literary establishment finds the most threatening. There are many reasons behind the growth of women’s’ writing which, of course, parallels the growth of the women’s movement in general. 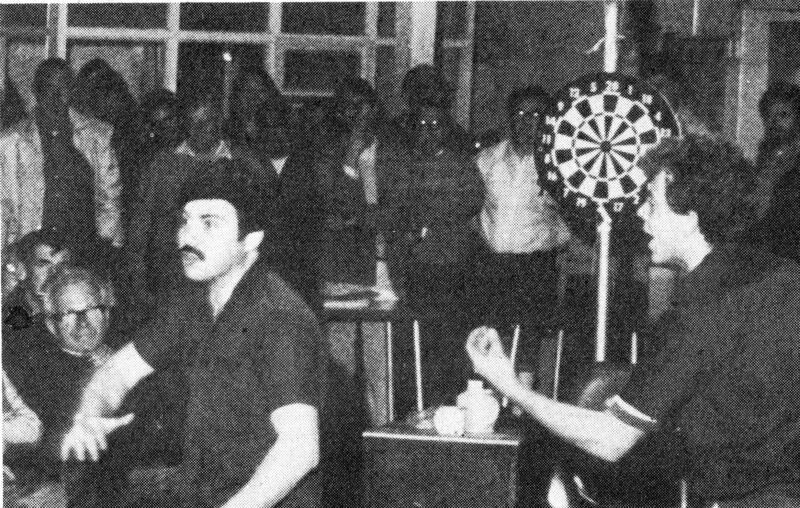 However, in part it can also be seen as a reaction against the writers of the so-called ‘generation of ’68’. The generation of ’68 is a term used loosely to describe a number of young writers who first came to prominence in the late sixties. They saw themselves as ‘poetic revolutionaries’ attacking the bastions of traditional Australian literature. With a few exceptions, however, they were male. The vast majority of women in ‘the scene’ were there as girlfriends or wives. 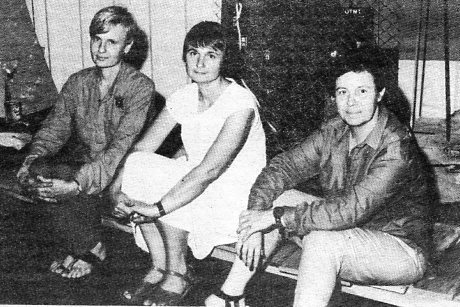 In time, a number of women only writing workshops were formed, one of which was the Sydney Women Writers Workshop (also known as the No Regrets Group) in 1978. For over seven years the No Regrets Group has met at member’s houses to read and discuss their work, as well as discussing practical and theoretical issues. Their influence, however, has extended beyond the actual group members through the compilation of three anthologies. Their most recent publication, No Regrets 3, was recently launched at the Performance Space in Sydney. It contains work by sixteen women from the group, together with statements by each on their writing. The writing itself is varied and refreshing in its scope. It is particularly exciting to come across work by writers I hadn’t heard of before, such as Chitra Fernando, Marion Consandine, Coren Caplan, Anna Valerio, Loretta Re and Jo Garolis. The influence of the first two No Regrets anthologies has extended beyond the women’s writing movement. As the Adelaide based writer, Moya Costello, pointed out on a recent Crystal Set program (2SER-FM Sydney), a number of male writers have obviously been influenced, not just by the way women write, but by the supportive networks set up by women writers and the concerns which motivate many women to write. No Regrets 3, together with the first two anthologies, provide useful models, not only for women writers, but all writers who feel surrounded by ‘silences’.